The Amelia Motoring Film Exhibition was the newest event to join Amelia Concours weekend in 2017 – and we are happy to report the event sold out. Thanks to MonroneyLabels.com, Chassy Media, VintageAutoTV.com and organizer Popcorn Octane Productions, it was a casual evening of auto-centric movies that drew film buffs and car aficionados alike. Featured films included Adam Carolla’s “The 24 Hour War” which chronicles the FORD vs. FERRARI battle in the 1960’s at Le Mans, Guy Smith’s “The Red Grifo”, a documentary that recounts a family’s multigenerational influence of a rare automobile welded high Italian design together with American muscle to form one of the most desirable gran touring cars of all time, the Iso Grifo. Rounding out the trio was Peugeot’s “Climb Dance”, a very short but high-octane film featuring Peugeot’s winning runs at the Pikes Peak Hill Climb in the late 1980’s. The event was off to a great start as the Hagerty’s Amelia or Bust Rally 2017 Tour participants rolled in to the parking lot for a special display. Noted collector and author Tom Cotter and Sports Car Market Magazine Founder Keith Martin, among others at the sell-out event enjoyed social reception with popcorn, drinks, and shrimp and grits before adjourning to the old Florida theatre to enjoy three incredible films. Plan to kick off your 2018 Amelia Island trip by attending this event. More details soon! Celebrating cinematic stories of automotive culture and heritage with an evening of high-octane, BIG-SCREEN nostalgia featuring Climb Dance (Peugeot), The Red Grifo, and Adam Carolla’s The 24 Hour War. Join us Thursday, March 9th in the historic district of Amelia Island at 6:00pm for our welcome reception with complimentary hors d’oeuvres and cash bar. Auto-centric films start at 7:00pm. The exhibition will also wave the checkered flag on Hagerty’s “Amelia Island or Bust 2017” driving tour with participating cars on special display. LIMITED SEATING AVAILABLE – ORDER TICKETS NOW! Complimentary hors d’oeuvres during the reception provided by Magnolia Grill Catering, with cash bar and concessions available throughout the evening. Click above image to view trailers and film summaries. MonroneyLabels.com provides VIN specific reproductions of original automobile window sticker. Important data that shows original MSRP with factory options and prices. The quick and easy way to get Monroney sticker information you need to know when buying or selling a used car or truck. VintageAutoTV.com features classic and historic cars through the memories and personal stories of collectors and automobile enthusiasts. 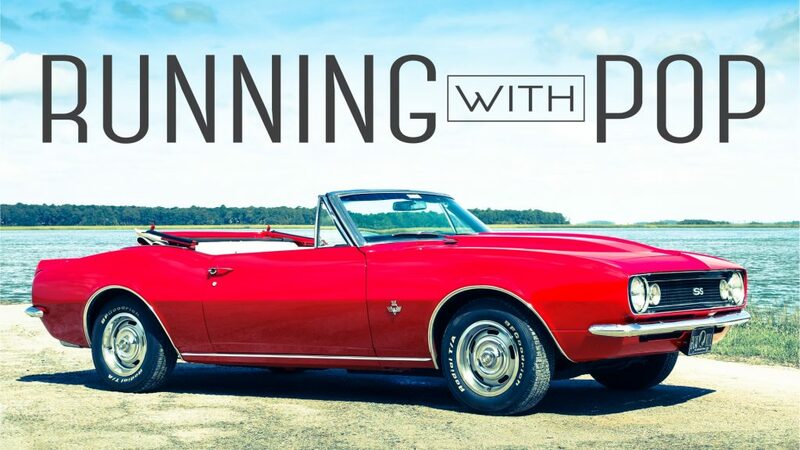 From race-cars, to brass era cars, to muscle cars, VintageAutoTV.com is designed to present and preserve the personal stories of automotive culture and heritage. Chassy.com is a worldwide premium automotive film on demand service, specializing in delivering content for the automotive connoisseur to rent, stream, or purchase. Chassy will provide exclusive distribution of the highest profile automotive documentaries, features, and short form content available digitally.